It is the ultimate test of power and brute force. An athlete versus a bar — without technical ability hindering most lifters. Bend down, grip with all your might, and then stand straight and victoriously with your prize in hand. If you are lucky to be born with long arms, short femurs, and a back made of iron, you have the characteristics of someone made to pull. What was a simple lift contested basically one way for fifty years has now evolved into a wide array of different manners to test your pull, each with it’s own unique characteristics and demands. While debate may range over what is considered a record, no one will argue that they are among the most brutal challenges is weight sports. The powerlifting deadlift has been the common test since the sport was standardized in the late 1950’s. A 45-pound, seven-foot long bar is loaded with traditional plates and pulled from the ground. The rules state that the deadlift must be in one continuous motion without resting or “hitching” the bar up the legs. Once the athlete has locked the knees and hips, the judge will give a down signal and the weight must then be lowered under control. 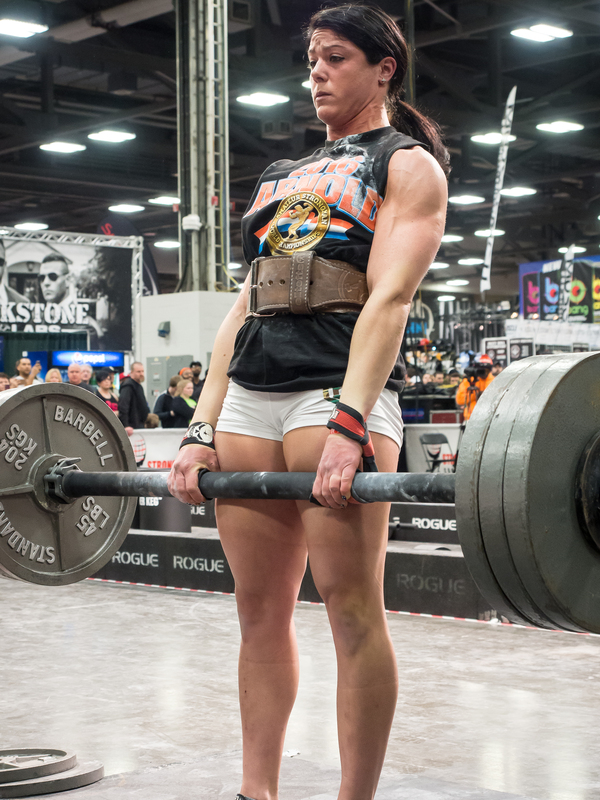 In a contest, the weight is taken for a one rep, maximum effort with three attempts. A singlet is required and the only supportive equipment allowed is a belt. Benedikit Magnusson holds the record with 1,015 pounds. 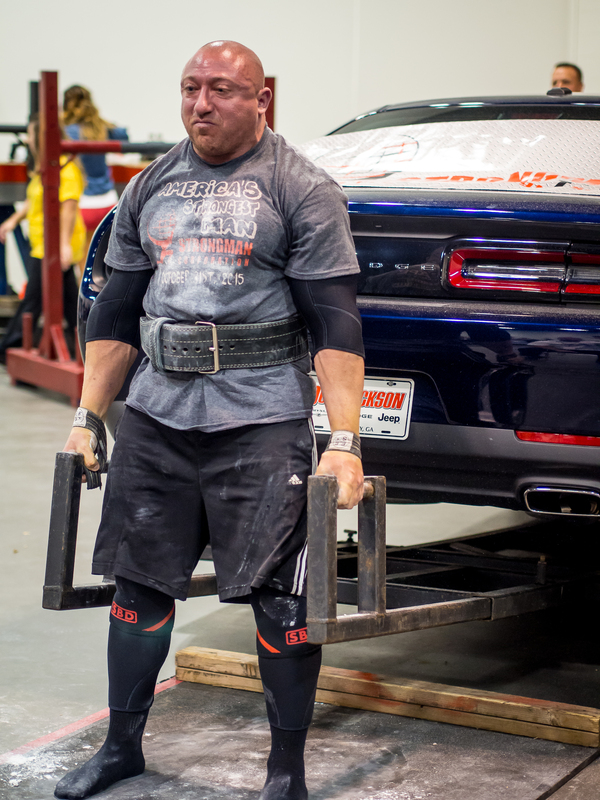 There are three very large modifications to the lift made in the Strongman contests. Lifting straps are used, allowing the athlete to tether themselves to the bar, greatly reducing the demands of the grip. Additionally, the hitch is not outlawed and is often exploited by the athletes. Many times you will see the bar rest on the thighs giving the athlete a quick break and allowing them to finish the lift. Multiple repetitions can also be judged for time or a single maximum lift can be chosen, depending on the promoters choice. 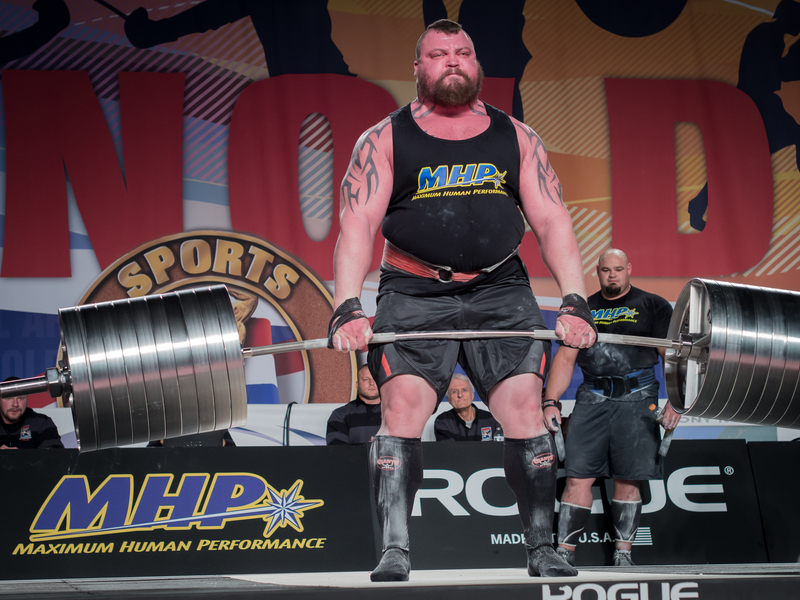 The UK’s Eddie Hall owns this record set in March at the Arnold Strongman Classic with a 1,025 pull. To add visual appeal, the weights on the end of the bar are replaced with giant tires or baskets filled with coins. This raises the height of the bar significantly to 18 inches from the floor. A special longer bar is often substituted, allowing for more bar bend and significantly increasing the amount of weight lifted. Zydrunas Savickas and Mark Felix have both pulled over 1,100 pounds on this event. A real crowd pleaser at any contest requires a special apparatus that is placed under the rear tires of a car. The athlete stands in front of the bumper and will lift handles that are at their sides or a bar across their shins. They strap in and then lift and lower the car for maximum repetitions for a set amount of time. Very few things are more impressive than someone acting as a human jack! Since the apparatus acts as a lever, the athlete only lifts a portion of the car and exact weight of the lift is near impossible to figure. Athletes often go by feel with the weight ranging from 600 to 1000 pounds in hand. No matter what type of pull is your current challenge, there is no doubt that they will all test your body to the limits. A maximum pull recruits every single muscle group in your body at once, making a three second lift feel like an eternity. While the weight may be less when pulling for reps, your lower back and cardiovascular system will be begging you to stop long before the time clock runs out. Great pullers have often developed a strong mental will to match their back muscles. Now, get out pull! Photos courtesy of Michele Wozniak, Strongman Corporation.